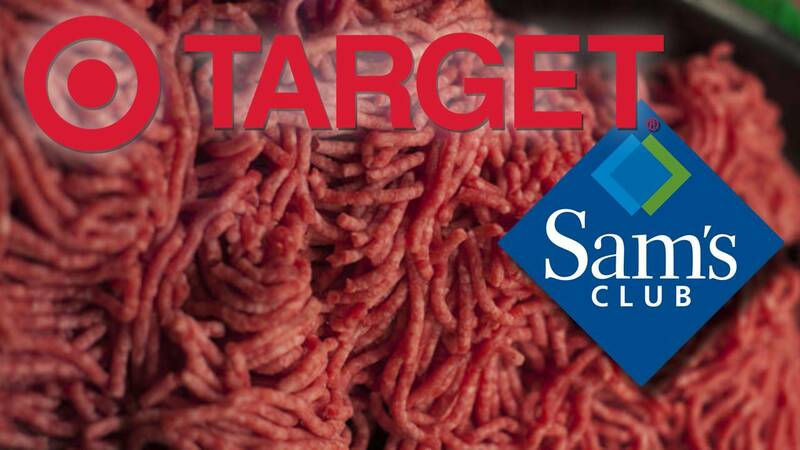 WASHINGTON - Florida Target stores are among those locations that received ground beef products recalled due to possible E. coli contamination. Sam's Club locations in Florida are also included. The U.S. Department of Agriculture released a list of retail locations that took delivery of the products involved in last week's Cargill Meat Solutions recall covering more than 132,000 pounds of ground beef. The USDA reports an investigation identified 17 illnesses and one death related to the original recall between July 5 and July 25, 2018. The Target and Sam's Club stores were the only ones in Florida on the list, although specific locations were not released. Consumers are urged to identify recalled beef by product information as individual stores are not identified. A previous recall involving Cargill products over the summer included Publix supermarkets. However, Publix stores were not included on the USDA list.